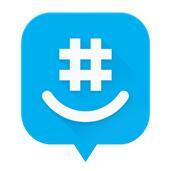 Welcome to the latest post in our "All About Apps" series. 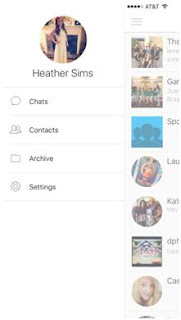 GroupMe is a group chat application that allows a large amount of people to communicate in one connected group message. It usually depends on who you ask or how old they are whether group messages are a good or bad thing. With such a wide variety of cellphones available and their different forms of messaging, it can make group texts sometimes impossible. I am a loyal iPhone user and I know from experience how frustrating it is to have a group text of other iPhone users and being unable to effectively chat because of that one person who uses an Android. GroupMe makes it possible for all kinds of cellphone users to have the perfect outlet for chatting about anything and everything. I have used this app for several years and I find it easier than using just the standard messaging app on my iPhone. This app is unique because in most group chat applications there is a limit to the number of people who can be in a group message. With this app you can literally have as many people as you want. Now that doesn’t mean you can go crazy and have over 1,000 people in a message, but if you want 200 people in a message then by all means go for it. This app was founded by Jared Hecht and Steve Martocci in 2010, and it was inspired by a project that was created at the TechCrunch Disrupt Hackathon. After its first year of life this app was so successful that in 2011 it was adopted by Skype and has been thriving ever since. In my experience with this application I have gained a moderate understanding of its features. One of the features that I like the most is that you can control the notifications that you receive. If you are in a group message and are overwhelmed with the number of notifications, and just want a break, then you can temporally silence that group message. I think this is what really sets it apart from the standard messaging app that comes with a phone. Sometimes my group messages are just too much and I wish I could silence it without totally removing myself from it, and thankfully, that is possible with GroupMe. 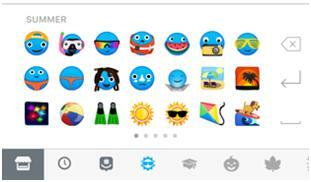 Another remarkable feature the unique set of emojis that can be used in messages. From the standard face images to a dog on a surfboard, there are enough emojis for you to effectively express what you are feeling. I think these are so much cuter than what comes with your iPhone. This app is also not limited to your location or the device you are using. Don’t have a reliable cell phone connection? You can use GroupMe from your computer and all you need is a good WIFI connection and you’re ready to chat. GroupMe is a reliable and easy way for anyone with a large “squad” to keep in touch and in the know of what is going on. This is app is available for download at https://groupme.com and is free in the app store. About the Author: Heather Sims is senior speech communication major at Tarleton State University located in Stephenville, Texas. She can be contacted at heather.sims@go.tarleton.edu.